Before you embark on the fun part of house hunting (who doesn’t like checking out homes! 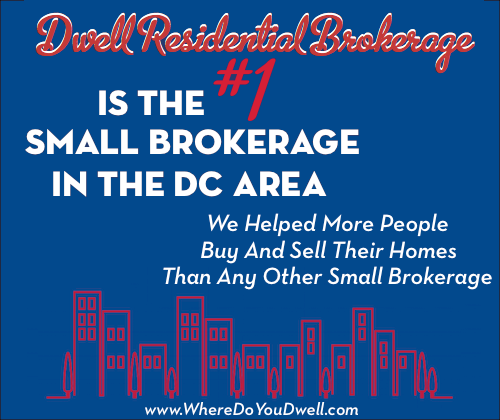 ), you need to narrow down your search to a price range you can really afford. You definitely don’t want to be “house poor,” but you don’t want to shortchange yourself either and look at homes that are priced too low. Here at Dwell Residential, we recommend you first start with your desired monthly payment for your home, which should factor in your taxes, insurance and mortgage (but not utilities and general monthly maintenance). It may seem backwards but it’s the one and only way to make sure you get the house you want for the price you want. And it works. Promise! 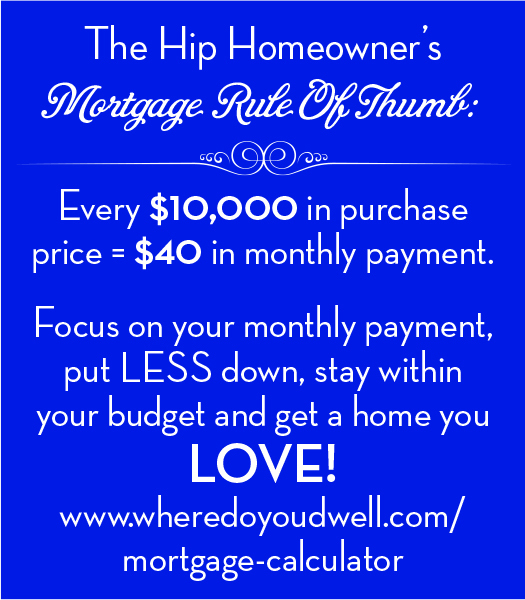 Our Mortgage Rule of Thumb is simple. You first need to figure out how much you want to pay per month, NOT the amount lenders say you can be approved for. Then work backward to determine the “correct” purchase price for you. In other words, don’t begin your search with a blanket statement, “I want to spend $500,000” and not even know whether that amount will truly fit your monthly budget. For example, the monthly payments for a $500,000 condo will be completely different than for a $500,000 single-family home. There are different costs you’d need to consider for each option, such as condo fees. By not focusing on the purchase price first but instead looking at what you want your monthly payment to be, you can streamline your search and find a home you afford with no buyer’s remorse. Why does this make sense? Another good reason to do the math this way is because most people are approved by their lenders for way more than they want to spend per month. We have clients all the time who say, “I’ve been approved for $500,000 by my lender,” but when we dig a little deeper, these clients actually want to spend a lot less in order to get the payments they truly want to commit to each month. So, even though this may seem backwards at first, we actually think the traditional way of doing things is the backwards way. You may realize you can actually afford more than you thought or you may need to scale back. But keep in mind, every $10,000 in purchase price only adds an additional $50 to your monthly payment. By starting your home search with this “little picture” strategy, you’ll reap the benefits of the “big picture” on moving day. How do you figure it out? Once you know how much you want your monthly housing payments to be per month, you can then take into account your down payment and any homebuyer assistance programs to arrive at the corresponding purchase price. This way you can consider all costs of owning a home – taxes, insurance, condo fees, etc – that will affect your monthly budget. With all these factors in mind, we can then help you figure out the correct price range to shop in. Ready to crunch some numbers? Check out Dwell Residential’s mortgage calculator.